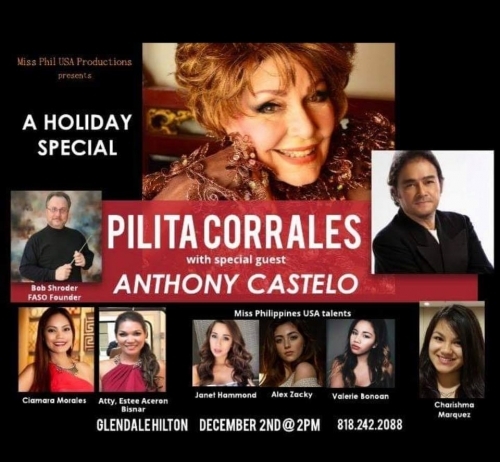 OMASC President Estee Aceron-Bisnar was invited to sing 2 songs @ the concert of Pilita Corrales and Anthony Castelo to be held on December 2, 2018 at Hilton Glendale. Tickets cost $100 (VIP), $75 and $50. 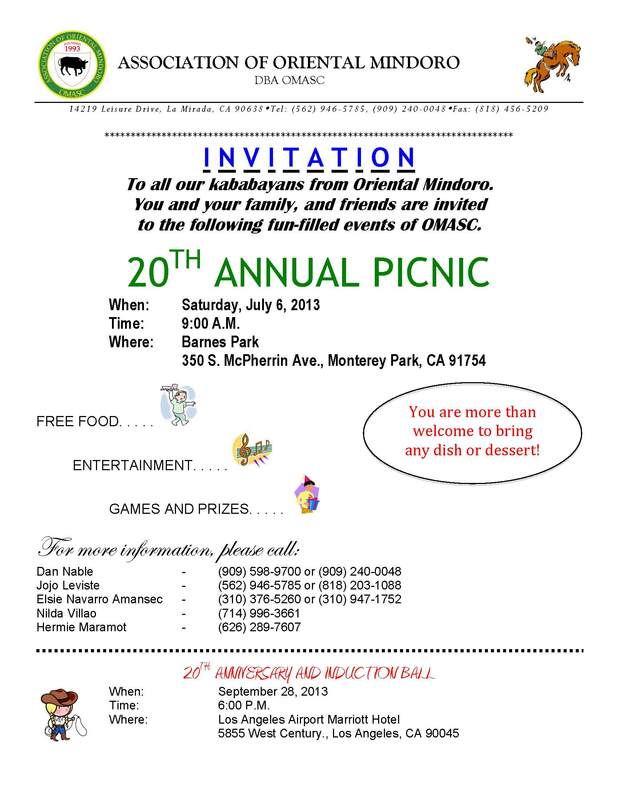 30% of OMASC ticket sales will go to our school supplies fundraising project. There’s a fashion show before the concert. Please contact Atty. 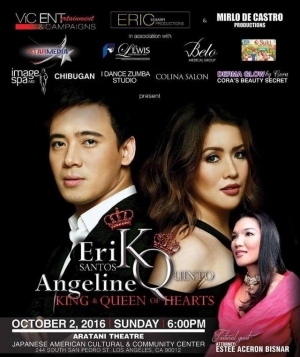 Estee Aceron-Bisnar at 323-702-2975 to reserve your tickets. Atty. Estee Aceron-Bisnar is licensed to practice law in New York and Philippines. She has her own immigration law office at 16755 Von Karman Ave., Suite 200, Irvine, California, and at the same time working as an associate at Marapao Law Offices, P.C. at 3435 Wilshire Blvd., Suite 1050, Los Angeles, CA 90010. For more info and ticket, pls. 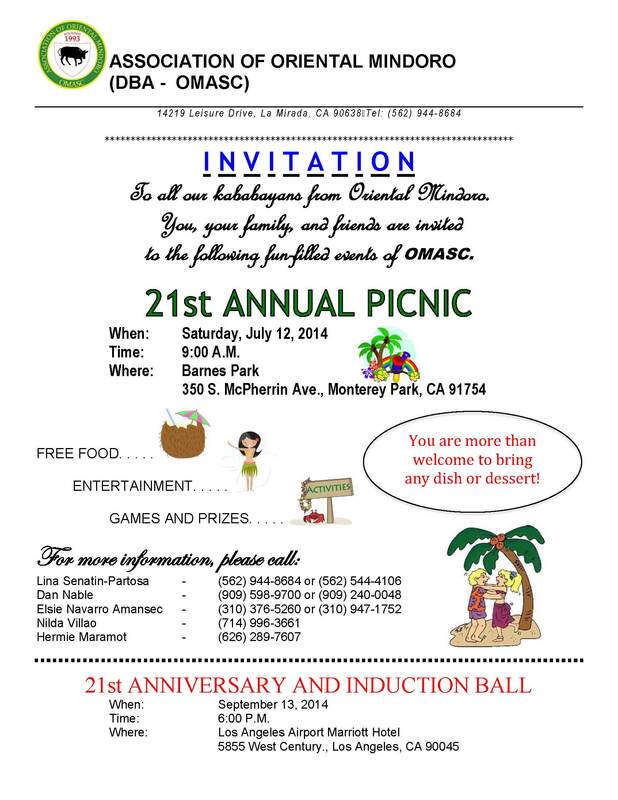 call Dan Nable at 909-240-0048, Jojo Leviste at 562-946-5785, Elsie Amansec at 310-947-1752. 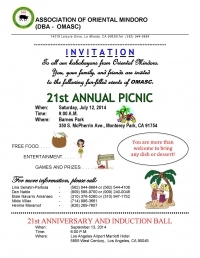 For More detail, call Eleanor at 818-999-3713 or 818-438-6369, Elsie Amansec at 310-947-1752 or Jojo Leviste at 818-203-1088. Time: starting at 9:30 am. 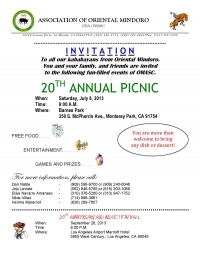 Free food, entertainment, games and prizes. You are welcome to bring a dish or dessert. Omasc Annual Dinner Dance - September 19, 2009 at LAX Marriott. Pictures of Relief Distribution can now be viewed on Photo Album 2, Medical Mission in Roxas.